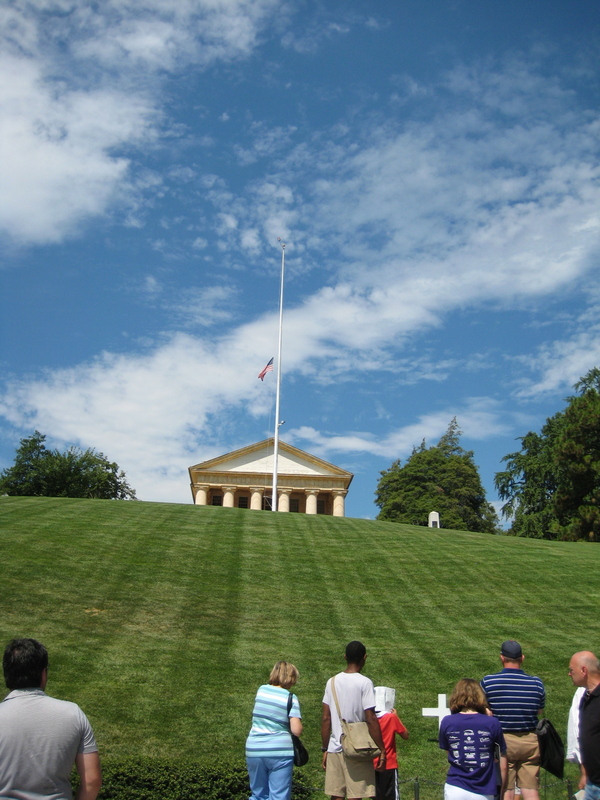 I’ve lived in the DC area – off and on – for almost ten years now, and I realized that I had never been to Arlington Cemetery. That’s a serious oversight. Last weekend I finally visited. The first thing I noticed (aside from the crowds of tourists) were the signs everywhere reminding us of where we were and asking us to behave accordingly: with dignity and respect. It wasn’t difficult to do. The monuments and markers are sobering. Oversized gravestones paying tribute to career military men alongside the small faded stones marking the resting place of a Civil War infantryman. 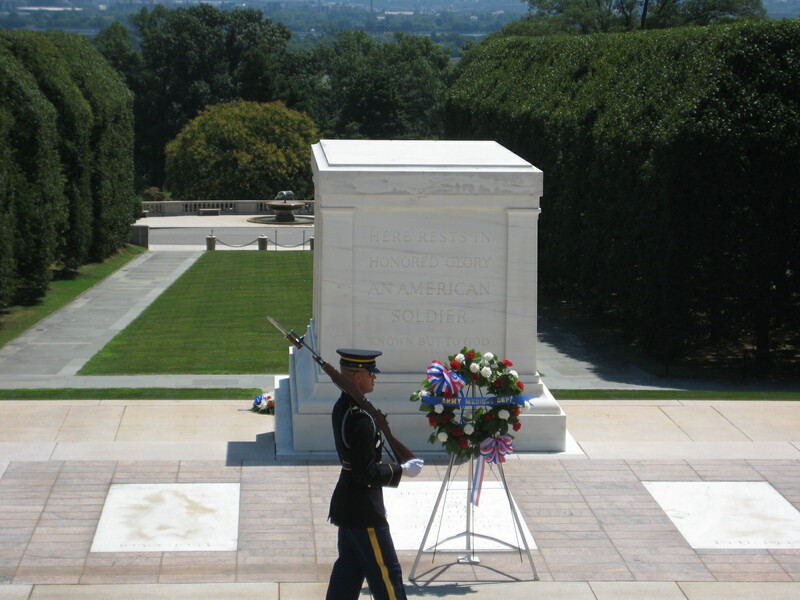 And in the middle of it all, the Tomb of the Unknown Soldier – a tribute to the “anonymous” men and women who gave their lives for their country. My takeaway from my visit is this: no matter your views and opinions on Iraq, Afghanistan, Vietnam or any other war/conflict involving the U.S., I think we can all agree that a place like Arlington Cemetery is important. 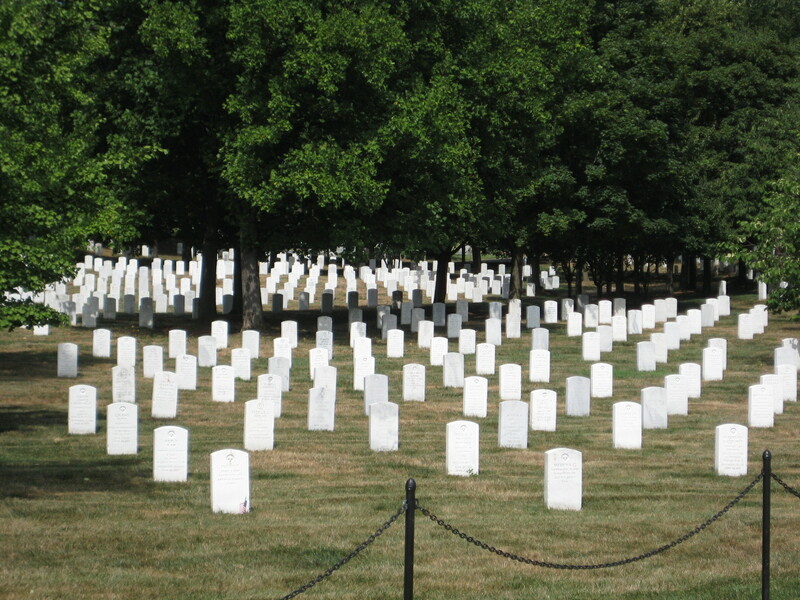 It’s important for us to honor them, to remember…and maybe we’ll make wiser choices in the future, so that there will be fewer white stones on the cemetery grounds.